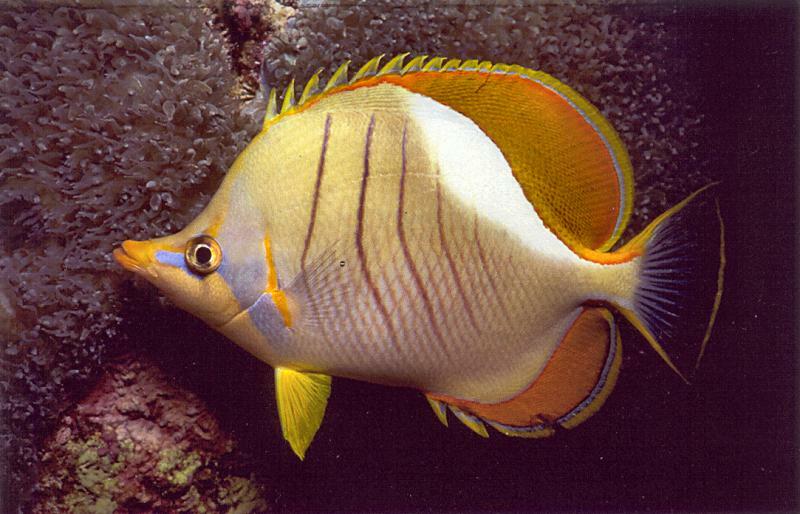 Yellowhead butterflyfish, Chaetodon xanthocephalus. Taken at night at Aldabra Atoll in about 15m of water. This is an excellent photo - we couldn't ask for a better photo if someone asked us to ID a fish - in fact it looks almost as if it had been "pinned out" and put in a photo tank, which is what we do when we want to photograph fishes we have collected. Fully erect fins in photographs are very rare, as is a perfect side on photograph - excellent! 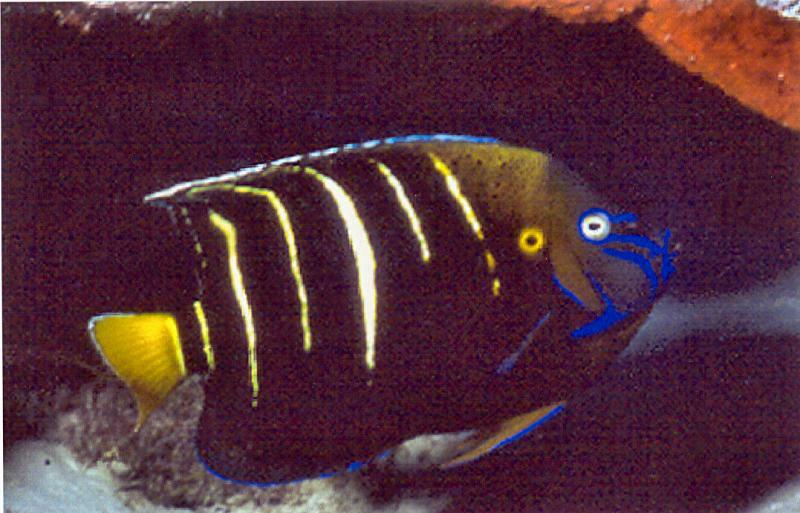 Yellowtail angelfish, Pomacanthus chrysurus. Taken outside Aldabra's main channel in about 18m of water in poor vis. N.B. unfortunately, these fishes were from outside the area covered by the competition, and were therefore not eligible.